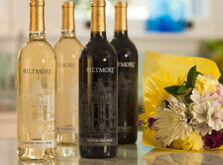 Learn more about Biltmore’s complete collection of wines. Grapes for this series are selected from leading growing regions across America and handcrafted at our estate winery in Asheville, NC. Each wine captures the true character of each varietal resulting in an outstanding taste that is the perfect pairing for any occasion. Crafted in small lots, these exceptional wines showcase our winemakers’ skillful artistry in each bottle. 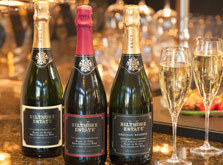 Exclusively available on the estate, in our online store, or through the Vanderbilt Wine Club. Warm and welcoming, these unique blends are handcrafted by our winemakers from a variety of distinct grapes. Our sweet, fruit-forward red and white Century Wines are easy to enjoy and pair well with a wide range of foods. 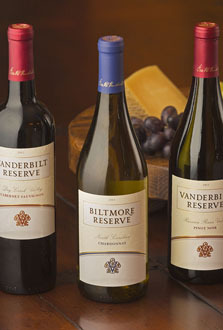 An invitation to dine with the Vanderbilts assured you of enjoying gracious hospitality paired with fine wines. Today their enduring legacy inspires our winemakers to handcraft each wine in the Reserve Collection to honor our rich heritage. 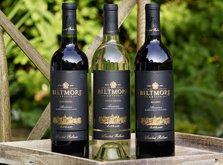 These wines capture the special characteristics of our distinct North Carolina growing region. Careful selection of only the best fruit from our own estate vineyards and other local growers results in remarkable wines. 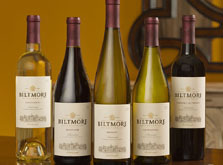 Only the finest fruit from highly-regarded grape-growing regions in California is selected for this series. Each bottling is an expression of the unique characteristics imparted from the grapes, vintage, terroir, and winemaking process resulting in outstanding wines. 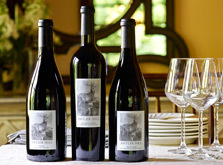 Named for one of the most beautiful locations on the estate, Antler Hill wines are the finest in our portfolio. Carefully handcrafted using grapes exclusively from the best harvests and vintages in premium regions, these are wines to be treasured. Well-known for their exceptional quality, this collection is crafted in the traditional méthode champenoise, which results in the finest of sparkling wines, characterized by a crisp, refreshing taste and tiny bubbles.